Andrew Sterr has been a stained glass creator and mentor for the past 8 years at Gallery's Choice in Downers Grove. Affectionately nick-named 'Mr. Andrew' by staff and clients, Andrew requested a brand as unique as himself! 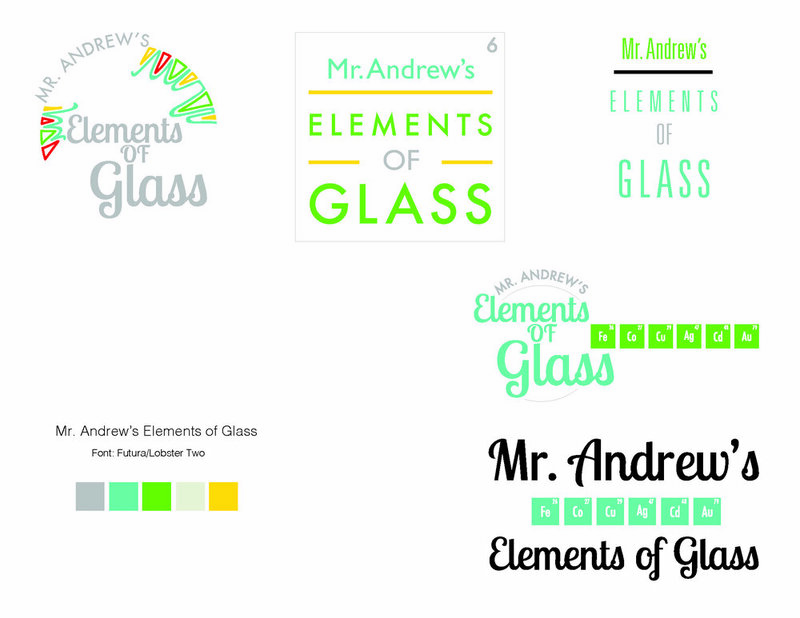 Technically minded, Mr. Andrew's Elements of Glass grew from pairing the ideas of design elements that go into his work, as well as the physical elements that are used to create colored glass. The resulting graphic was meant to intrigue as well as create an opportunity to educate potential customers at art shows and gallery openings. This graphic was used in a trade show format as well as on business cards for the artist.